Some of the most significant oil discoveries in Texas were those in West Texas. Oil in Hockley County was discovered in 1937. Hockley County sit on the Levelland Field which is a part of the Permian Basin. Hockley County, named after George W. Hockley, was formed by Texas legislature in 1876. For years, Hockley County was known primarily for its large cattle operations. The economy diversified into the cotton compress industry, the dairy industry and machine shops. However, the discovery of oil in Hockley County brought a beneficial boost to the economy and population for people who owned minerals rights in Hockley County. Hockley County has produced over one billion barrels of oil since its discovery in 1937. Hockley County has continued steady production of oil. New innovations in drilling have kept operators leasing and drilling in this area. Since inception, Royalty Clearinghouse has acquired more than 165 interests in properties in Hockley County. Our team of engineers have years of experience performing thorough economic evaluations of wells operated by some of the top oil and gas operators in Hockley County including Occidental Permian LTD, Cross Timbers Energy, LLC, and Chevron U.S.A Inc.
By sending your production statements, our engineers can quickly and thoroughly evaluate your interest in Hockley County. 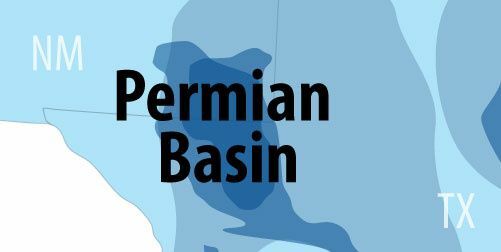 Permian Basin covers over 20 counties throughout western Texas and southeastern New Mexico. Hockley County is one of the counties in the Permian Basin. Royalty Clearinghouse has worked with many owners in the Permian Basin and is aggressively seeking acquisitions here.